Republican Ted Cruz of Texas has won re-election to a second term in the U.S. Senate, beating his challenger, Democratic Rep. Beto O’Rourke, in one of the most closely watched races of the 2018 midterm elections, The Associated Press reported. O’Rourke’s run was one of the most-watched races in Hollywood because it was an opportunity for Democrats to upset an unpopular Republican in a reliably red state. O’Rourke has received a total of $811,632 from the entertainment industry, according to The Center for Responsive Politics. That includes donations from Film, TV and Music. Connie Britton, Tate Donovan, Sarah Jessica Parker, Jimmy Kimmel, Rosie O’Donnell, J.J. Abrams, Rob Reiner, “Star Wars” director Rian Johnson all donated to O’Rourke’s campaign. Hours before the polls closed in Texas, O’Rourke scored praise from Beyoncé, who took to Instagram in a “Beto for Senate” hat. O’Rourke, a 46-year-old El Paso native, has been hailed by many on the left as a charismatic, eloquent and Obama-like candidate. He entered politics in 2012 after defeating the incumbent Democrat, Rep. Silvestre Reyes. Before that, O’Rourke was the co-founder of Stanton Street Technology, a internet services and software company. From 2005 to 2011, he served as a city councilman in El Paso, following in his father’s footsteps. Cruz emerged as a Tea Party star after getting elected into office in 2012. He was behind the 2013 government shutdown and was the runner-up for the Republican nomination in the 2016 presidential election. Cruz 47, entered the national political scene in 1999 as a policy advisor on the George W. Bush presidential campaign, later working on Bush’s legal fight in the 2000 Florida presidential recount. He won his Senate seat in 2012 after defeating the GOP lieutenant governor in a primary. 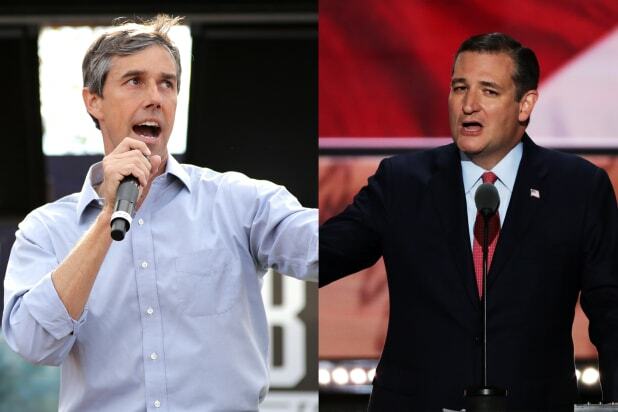 Cruz lost a bitterly fought race for the 2016 GOP presidential nomination to Donald Trump, but the two have campaigned together at a rally last month. It's a terrifying way to get caught on camera, doing something odd with your tongue the way Ted Cruz did while tasting gelato during a campaign stop in Milwaukee. We aren't running for president because we don't want Reuters running photos of us like this, or redditors going nuts on said photos.